Intricately designed, this cutting edge piece was inspired by the city of Porto and the rhythmic undulating of its black slate rooftops and building facades. Through reflection ingredients such as irony, drama and extravagance were added and Oporto came to life. 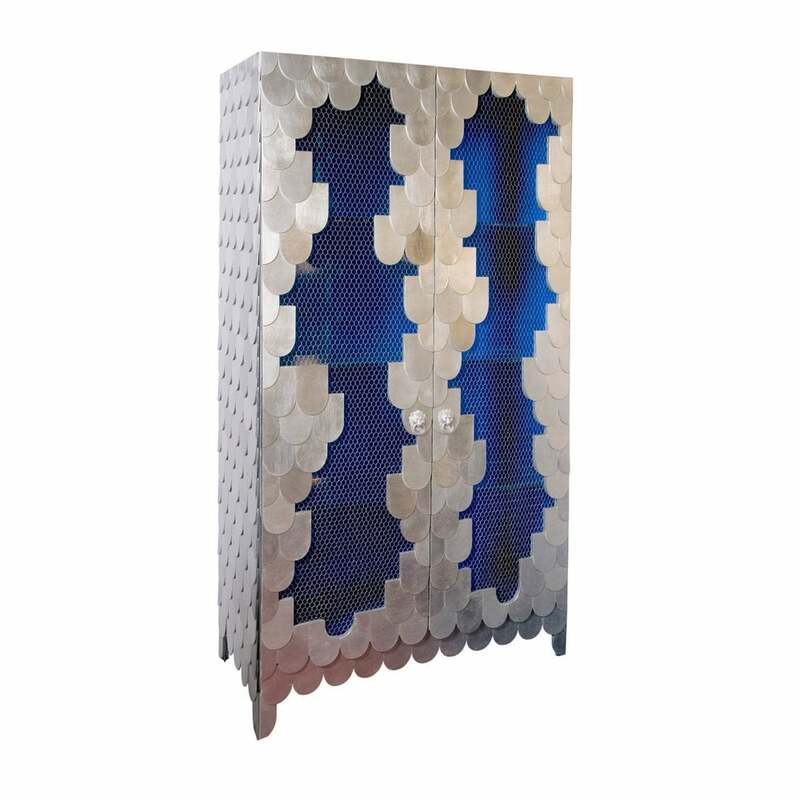 The cabinet is sheathed in individual scales, which are finished in a silver leaf with a high gloss varnish. Its two doors feature openings that are spanned with a metal mesh. The interior function with three glasses shelves and is finished in a silver leaf covered with a translucent lapis high gloss varnish. Silver leaf covered with translucent lapis high gloss varnish, wood, metal and glass.